Our Google classroom is now live. Learn the basics along with joining techniques to kick-start your crochet experience, from the comfort of your own home. You have seen all the amazing creations on social media but you don’t know how to proceed. Worry no more. 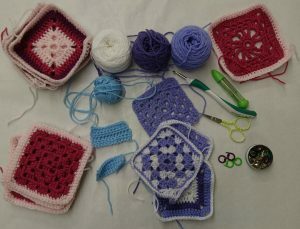 Over the course of the next 8 lessons you will be taught how to read a pattern and use all the different base stitches. 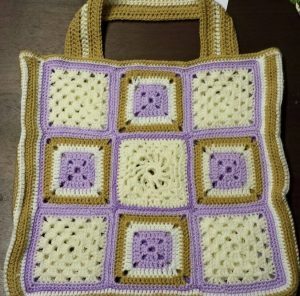 You will get the opportunity to combine different blocks to create a project bag or alternatively you can turn those blocks into a cushion cover or begin a blanket. You will have 24 hour access to our very own dedicated classroom, where you will be able to download class material, watch short tutorial videos created just for this series of classes and be able to interact with other online students and Unravel & Unwind’s tutors (please note that we work to GMT/BST). Book today – You will receive a confirmation email with the classroom link and access code prior to the launch. We look forward to seeing you there. ← Now Watch Me WIP….